Managing Partner of Range Capital Partners. Family Office Insights sits down with Simon Gluck, Managing Partner of Range Capital Partners, to discuss how his company is changing the landscape for Family Offices to invest in private equity real estate opportunities. Tell us about your background and your company, Range Capital Partners. I have been in real estate private equity for almost 17 years. This has included Managing Director positions in the real estate private equity groups at Merrill Lynch and Avenue Capital and being a Partner at a private equity firm capitalized by a global family office. In these various positions, I developed and refined my investing philosophies and strategies and put them to work by finding value and opportunities in various cycles across a myriad of real estate asset classes and markets, which generated excellent historical returns. This experience and the expertise I gained gave me a clear perspective on how to position Range Capital Partners to succeed. I founded Range in October 2014 on the premise that real estate had become a very efficient asset class and that it was critical to establish a principal investment platform with vertical expertise to create competitive advantages to generate outperformance. In addition, Range had to be well positioned to act quickly and opportunistically to take advantage when market conditions change, and dislocations occur, which can happen rapidly. As part of its vertical approach, Range has established focused investment platforms that include West Coast Commercial, Hospitality, NYC Commercial/Residential and Special Situation. Over a 30-month period Range has acquired in-excess-of $300 Million of real estate assets. Who is your target investor? Range currently manages capital on behalf of a select group of significant institutional Family Offices. Our approach is to selectively add (on a limited basis) additional investors overtime that have similar profiles to our existing investors to create a truly proprietary real estate investment platform for their benefit. Among the community of investors that I’ve met—mostly in Family Offices and other large institutions—there is a growing desire to collaborate on and become more directly involved in their real estate investment process. This is exactly the type of partnership Range is seeking as it targets new investors. Range believes in longstanding relationships with its investors and does not want to artificially constrain investor capital into set investment periods thereby force-feeding it into investment cycles unnecessarily. Range takes a highly disciplined approach to asset accumulation in the various real estate asset classes and markets where it has vertical expertise. This allows for Range to deliver a true balanced portfolio approach while being able to quickly pivot to where the opportunities present themselves and add to the portfolio. We believe this is the path to consistently finding value over the long term regardless of cycle. Range wants to cultivate a selected investor community that are like-minded and build long-term partnerships where Range can be a steward of their capital for real estate opportunities. What are some challenges investors face in this industry? It is critical to remain disciplined and align with private equity sponsors who truly know how to find value, particularly in stabilized markets like the ones we have had over the last several years. It is crucial to find and buy assets that have a clear value-creation story, which can allow for profits to be achieved in the near term but for those assets to also contain high real estate value and/or dividend income that can allow for the optionality of a longer-term hold. To do this effectively you can’t overpay. This might mean that you are not as active in certain years as others but that’s part of the discipline approach you have to maintain. When underwriting a new investment, Range is highly focused on “are we getting paid for the risk.” This is a big reason why, to date, we have stayed away from development deals. We have seen return multiples decrease while seeing the imbedded risk increase. Candidly, the challenge for investors, particularly ones in the Family Office space that we speak to, is identifying stewards of capital like Range Capital Partners. We believe we offer an approach that is highly differentiated, much more reflective of how real estate has evolved as an investment asset class and, most importantly, set up to best achieve investment outperformance. On the investor side, Range recognizes the fact that a growing number of Family Offices have taken the time and committed the capital to build out their investment teams. Reflective of that, Range allows for a highly collaborative partnership that is meant to treat its investors like true owners and partners. Range brings a very “high touch” approach which our existing investors greatly appreciate. This is a large part of why Range chooses to keep its investor base limited and on a select basis. On the investment side, Range does not approach investment periods the same way traditional real estate opportunity funds do. Range does not allow investment periods to determine its investment activity or hold period. Range’s investment activity will be a function of where it does and doesn’t see opportunity and will exit its position based on maximizing the value on that specific investment. My mission is to continue to establish Range Capital Partners as a premier real estate private equity partner for Family Offices. From its inception, Range was created to be just that and was purposely designed with Family Offices as its target investor base. Accordingly, Range has taken the time to develop a deep understanding of what we believe are the nuances, specificities and objectives of Family Offices, some of which don’t necessarily apply to other institutional investors. As a result, I believe Range brings a much-needed new approach to Family Offices that is desired and currently underserved. Keeping Range Capital Partners on its current path. This has required being patient and disciplined on the investment side while continuing to selectively add to the investor base. Our current portfolio is performing very well which has proven our ability to create opportunistic returns and attract best in class partners for new opportunities. I often refer to these first three years as “Phase One” which has positioned Range, as it enters-into its next phase, as an established proven real estate investment platform set up for the long term. Whether or not distress is imminent, time will tell, but cycles change as they always do, and we will be ready. Simon is the Founder and Managing Partner of Range Capital Partners. 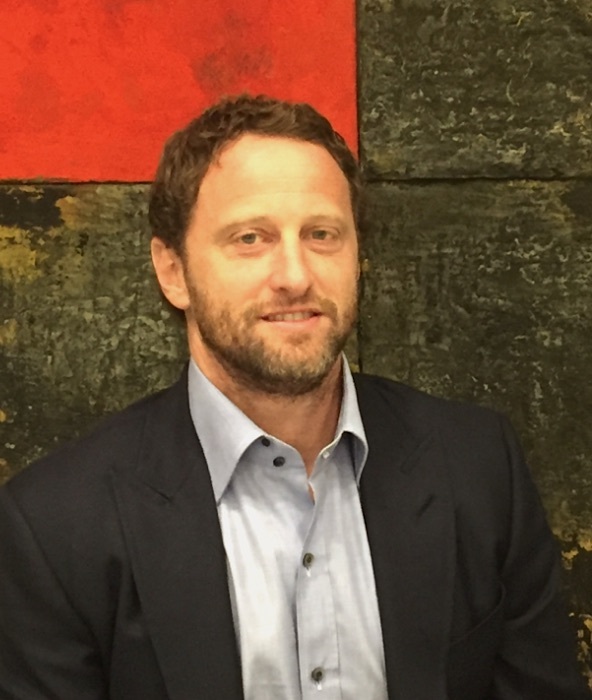 At Range, Simon is responsible for day-to-day oversight and leads its investment strategy and business development. Simon brings 17 years of global real estate experience and has successfully invested across several real estate asset classes and real estate related operating companies. In aggregate, Simon has played a leading role in principal investments with transaction value in excess of $3.0 billion. 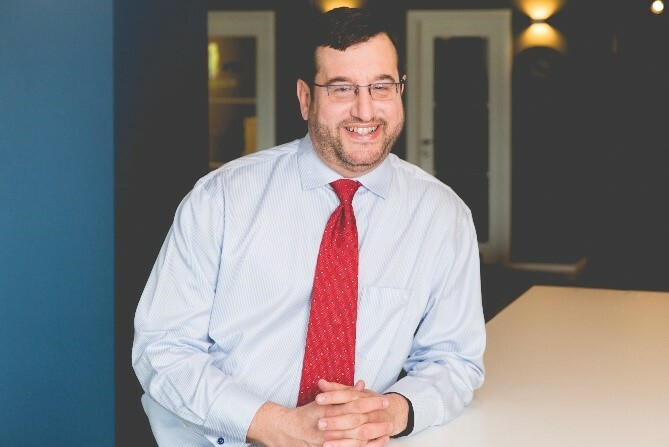 Prior to founding Range, Simon was a Managing Director in the real estate principal areas at Avenue Capital Group, where he was responsible for sourcing investment opportunities across the capital stack, and, before that, at Bank America Merrill Lynch. Hired by legacy Merrill Lynch, Simon spearheaded the restructuring of its global real estate principal investment business ($8.0 billion AUM), and was responsible for a variety of global fund management related activity. Before joining Merrill Lynch, Simon was a founding member of Longwing Real Estate Ventures, a highly successful private real estate investment platform that managed capital on behalf of a sovereign family office. Simon began his professional career at J.P. Morgan Chase as an analyst in its Global Mergers and Acquisitions department. He is a graduate of the Goizueta Business School at Emory University with a BBA in corporate finance. For more information, please reach out to Simon at sgluck@rangecp.com.